Chic in looks, this top will make for a worthy addition to your teen’s clothing collection. 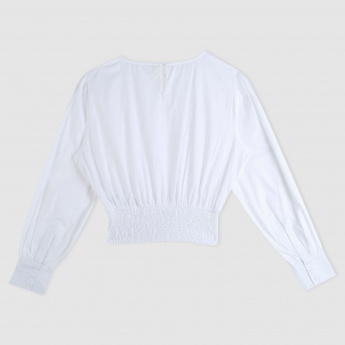 Featuring a lace as well as elastic cuff detailing, this top is a stylish pick. It is made from soft material that remains gentle against the skin.